Dr. Candace Kelly-Hodge is an Adjunct Assistant Professor in the Master of Arts in Teaching English to Speakers of Other Languages program at the Rossier School of Education. Since 2010, Dr. Candace Kelly-Hodge has taught Methods for Teaching English as a New Language, EDUC 501, Capstone 569, and TESOL courses 526 and 569 for the Rossier School of Education. She earned a Ph.D. in 1999 in Education, Leadership, and Organization from the University of California Santa Barbara, an MA in Bilingual/Multicultural Education from California State University Chico, and a BA in Spanish-Linguistics from Sonoma State. Her dissertation focus was on increasing the diversity in the teacher work force. In the public school sector, Dr. Kelly-Hodge has 12 years experience with English language learners in bilingual classroom settings with a Specialist Credential in Bilingual Cross-Cultural Education in the target language Spanish. She served as a Professional Developer in the English Learner Program at Riverside Unified School District and as a Literacy Coach with Urban Education Partnership in Los Angeles. Dr. Kelly-Hodge was a Teacher on Special Assignment at Charter Oak Unified School District and the Principal Investigator for the Hmong Biliteracy program funded by Migrant Child Education at Thermalito Unified School District in northern California. 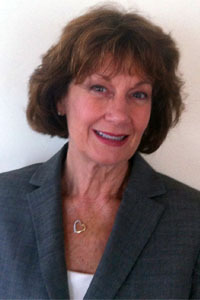 In addition Dr. Kelly-Hodge’s grant writing, evaluation, and program coordinator duties have included the English for Speakers of Other Languages (ESOL) and Bilingual ESOL Endorsement Programs at Southern Oregon University as well as a 10 million GEAR UP 4 LA program; funding for a Korean dual immersion charter school; as well as Peer Review roles for the U.S. Department of Education in the Race to the Top grant competitions and for California’s ELD curriculum with the English Language Arts Common Core State Standards. Dr. Kelly-Hodge’s recent magazine publications are Growing Pains over Student Growth Measures; The Diminishing Returns of High School Exit Exams and English Learners; and No Assessment Fits All.